BRUSSELS— A few days before the holidays, experts from a wide variety of international organizations headed here to discuss ways to provide higher education in emergencies—especially the emergencies created by the sharp rise in the number of refugees around the world. That topic has been much discussed during the last year, with a U.N. agency reporting that the number of refugees globally has increased to 51.2 million people, the highest number since World War II. But the Brussels conference, organized by the Global Platform for Syrian students, which offers scholarships to Syrian students, appears to be the first one that brought together programs from around the world to exchange experiences. 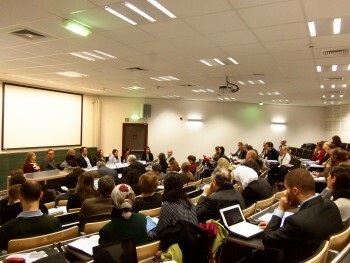 Based on lessons learned from recent crises in Europe, Africa and the Middle East, the conference tried to answer key questions on how to integrate higher education into humanitarian responses and coordinate interventions. Also, the conference stressed finding financial resources. Like many such meetings, this one did not provide conclusive answers. But multiple solutions were discussed ranging from providing scholarships to delivering vocational education and online courses. The participants also discussed the difficulties in the field. “Funding for education in emergencies is still inadequate even it has expanded considerably in recent years,” said Daniela Kaisth, vice-president for external affairs at the US-based Institute of International Education, pointing out that education accounts for less than 2 percent of humanitarian aid. Funding is not everything, as there are many other administrative, logistical and legal obstacles. “Many of the students do not have valid passports or legal documents. Getting a scholarship is just one step in a long road,” Kaisth said. As a former president, Sampaio realizes the role of politics. “But we need to work as a pressure group to help decision-makers to take the necessary decisions,” he said. During two-day meeting, participants reviewed cases from Haiti, Kenya and Iraq. Still, the Syrian crisis dominated the debate due to its large size and the absence of readily apparent quick solutions. “Continuing conflict for years makes access to higher education in emergencies at large an integral element of humanitarian assistance,” said Arnaud Borchard, the head of the development section of the European Union delegation to Syria. Joel Bubbers, the country director for Syria at the British Council, agreed with Borchard that higher-education opportunities should become a key plank in international humanitarian efforts. “It’s essential to prepare societies for eventual post-conflict reconstruction and social and economic development,” he said. According to Bubbers, hundreds of students from inside Syria have already taken a common test of English, the Ielts test, in neighboring countries during 2014. That, he said, reflects their awareness of the importance of education. “We should not forget students inside the country when we plan to provide education in emergencies,” he said. In a session titled “How to do more, better and faster?” the participants tried to make concrete suggestions. Those ideas included establishing an international coalition of higher education at risk; founding a university in exile where professors and students could enroll in emergencies; and creating a separate fund for education emergencies. Other suggestions included improving the use of technology in education in emergency situations, unifying as much as possible the university admission criteria and creating more political pressure to ease the granting of visas for students in emergencies. The suggestions all received serious attention even though they aimed at distant targets. In the short term, most participants agreed on the importance of being in touch and building regular means of communication. Although the Arab world was under discussion during the meeting, the Arab participation seemed weak not only in the conference but also in all of the programs that were presented. 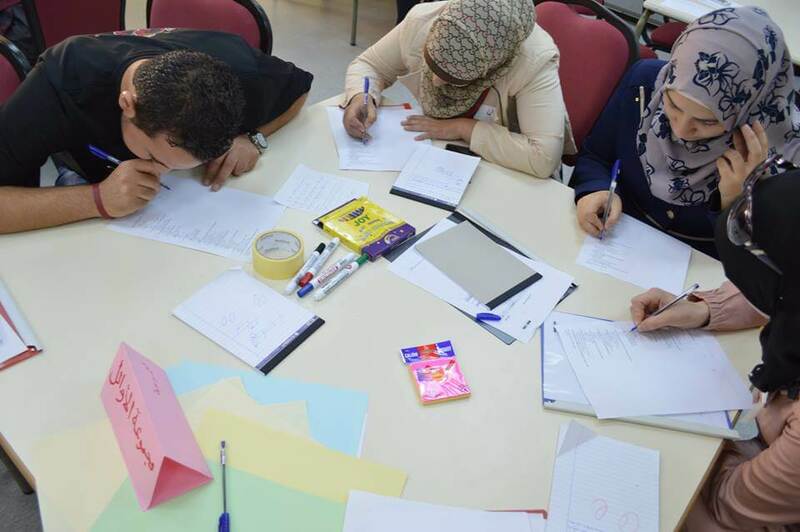 “Arab countries are trying to help, but according to their available capabilities,” said Magda Zaki, director of the department of education of the secretariat of the League of Arab states.